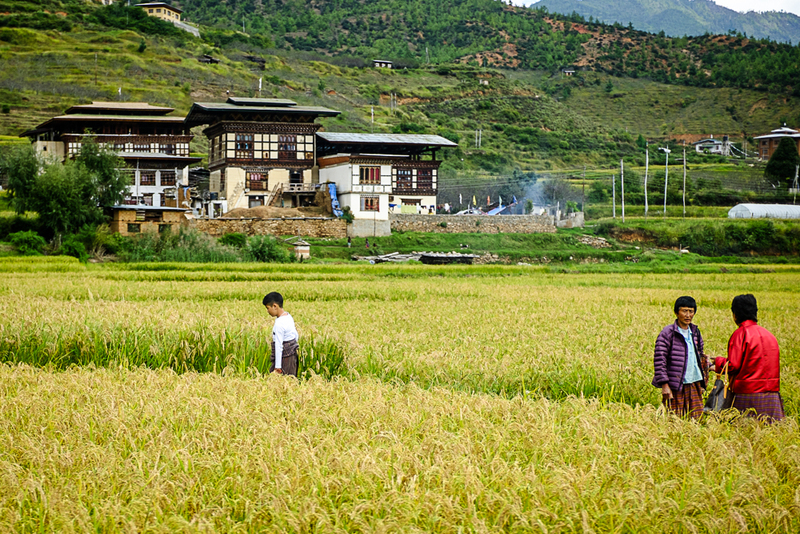 The three things that struck me the most about Bhutan were the architecture, the costumes and the rice fields. This, as a consequence, is my most comprehensive Bhutanese shot since it features all three. I will be posting nothing by Bhutan pictures this week.